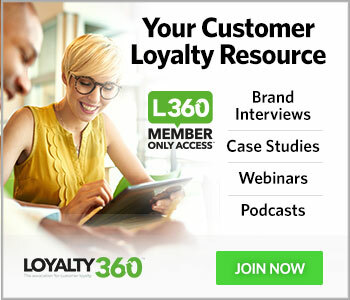 This is a website of the Loyalty360 as it applies to business/visitors. Consumer information, including how to register for Loyalty360 Visitor/Member Services, can be found at ,www.loyalty360.org. If you still have questions, or would like to contact us, please send an email to: [email protected]. You can reach us by email at [email protected] or call us at 513-800-0360. This policy is valid for one month from the time you visit our site. If our information practices change in the future, we will use only data collected from the time of the policy change forward for these new purposes, or we will contact you before we use your data for these new purposes and offer you the ability to opt out of these new uses. When you make a purchase we also collect your credit card information, as well as information about your current purchase and we keep information on your purchase history. This information is used by us and/or our agents: to support your interaction with our site, to deliver your purchases and to contact you again about other services and products we offer. We may also share your name and geographic address with other reputable companies who have offers we think may interest you. These marketers may in turn contact you. If you give us your postal address, we will send you periodic mailings with information on new Loyalty360 products, services or information on upcoming Loyalty360 events. You may also receive business mailings from other reputable companies. If you do not wish to receive mailings or phone calls from the Loyalty360 in the future or if you do not wish us to provide other reputable marketers with your mailing information, please let us know by sending an email to [email protected]. We collect the email addresses of those who communicate with us by email. The email addresses are used to contact existing or potential business customers. We will not share business email addresses you give to us with other third parties for their purposes. We may send marketing offers to you on behalf of reputable third parties. If you do not want to receive future email from Loyalty360, please let us know by sending an email to [email protected]. All visitors we place cookies on all website visitor hard drives to collect aggregate information on the number of visitors to our site and the number of pages viewed. General information cookie information is used only by Loyalty360 and our agents and is not provided to any other organization. It is used in aggregate for traffic analysis and to provide relevant information to our visitors. It is also used for website and system administration, including research and development, user analysis and business decision-making. If you do not sign on to our website, our Web server does not have access to personally identifiable information about you. It does not know your email address unless you volunteer it. At the same time, much of the Loyalty360’s communication comes in the form of email, so by not sharing your email address you will have limited access to the Loyalty360’s newsletters and other valuable information. We collect click-stream data and HTTP protocol elements through access logs. This information is not personally identifiable and is used for website and system administration including: research and development, user analysis and business decision-making. Upon your request, we will provide you with a description of the information that we maintain about you. We will accommodate all reasonable requests. Please contact us by email at [email protected] or in writing at the above address.